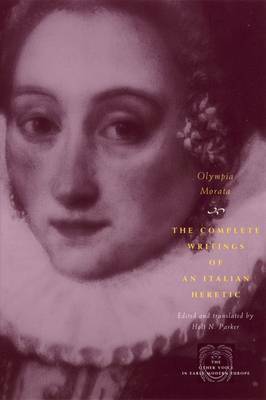 A brilliant scholar and one of the finest writers of her day, Olympia Morata (1526-1555) was attacked by some as a "Calvinist Amazon" but praised by others as an inspiration to all learned women. This book publishes, for the first time, all her known writings - orations, dialogues, letters and poems - in an accessible English translation. Raised in the court of Ferrara in Italy, Morata was educated alongside the daughters of the nobility. As a youth she gave public lectures on Cicero, wrote commentaries on Homer, and composed poems, dialogues and orations in both Latin and Greek. She also became a prominent Protestant evangelical studying the Bible extensively and corresponding with many of the leading theologians of the Reformation. After fleeing to Germany in search of religious freedom, Morata tutored students in Greek and composed what many at the time felt were her finest works - a series of translations of the Psalms into Greek hexameters and sapphics. Feminists and historians should welcome these collected writings from one of the most important female humanists of the 16th century.